We have been keeping you informed about patient choice and discharge planning options. This started back in October 2017 with MedPAC's recommendation for discharge planning options. It appears from a recent lawsuit, patient choice is also affecting physician referrals. We provide the details. 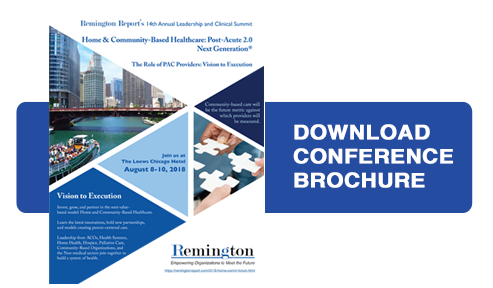 Join us at the August 8-10, 2018 Summit: Home and Community-Based Healthcare: Next Generation. Experts and your peers discuss strategy and innovative models creating new opportunities in home and community-based services.